The Silistab Epi elbow support is a world leading elbow support product from Thuasne (French Design and Manufactured). This product is available in NZ instore and online. 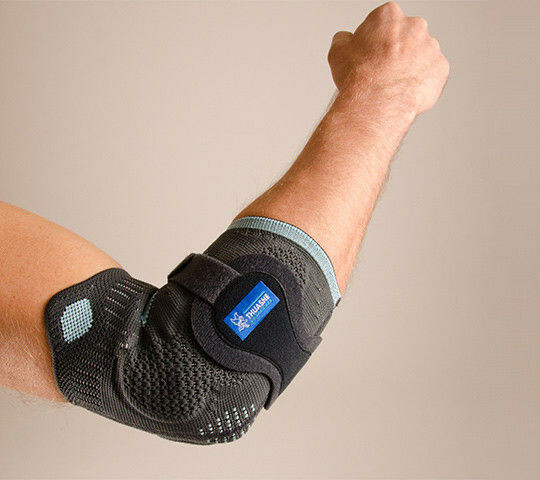 The Silistab Epi support offers protection for vulnerable or painful elbow joints caused by light sprains, overload or oedema. It is recommended for the prevention of tendonitis and tennis elbow. Neoprene fabric provides optimum comfort thanks to its loop-pile inner surface. Straps allow the user to adjust the compression.